Have you heard? New York is the greatest city in the world. Jeeves will furnish you with takes both hot and not, composed by idiots who get paid to write about this sort of thing and other idiots who do it for free. Here are some hackneyed reasons to (heart) NY: Central Park; walking across the Brooklyn Bridge; buncha buildings; pizza/bagels; sports; some views; that one restaurant that everyone loves; places that have closed, but then opened; a neighborhood character; an iconoclastic thing that seemed shocking at first, but gently revealed a deep NYC truth. Living here is great, sure. But it can be a little hard, too. (Except for the millionaires. We see you, millionaires.) Sometimes, just getting through the day is award-worthy. So we made some up! Here they are. 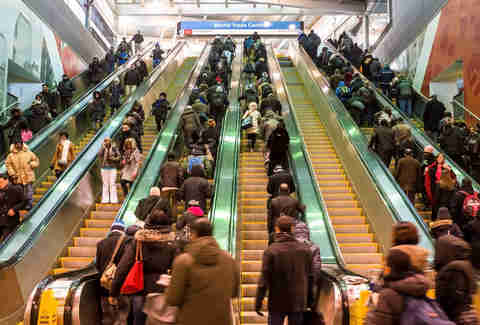 In a city of more than 8.5 million, you only know like 36 people, and they all seem to share your commute. Your avoidance transcends the standard sunglasses/headphones/downcast gaze routine. You are the vaunted straphanger who can accidentally make eye contact with an acquaintance and give the ride-saving half-nod-long-blink combo that says hello and goodbye, all at once. Working with the public is frustrating. People saunter into your pharmacy or cafe, feigning interest in Sudafed or artisanal pop-tarts while their shifty eyes dart around for signs of a bathroom, quickening their pace toward what ultimately turns out to be a mop closet. This award goes to those brave enough to confidently approach the friendly neighborhood shopkeep and make a case for bathroom access without any funny business. 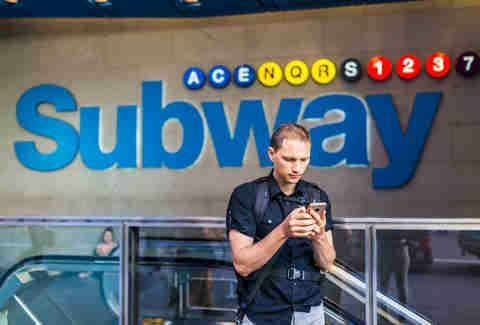 Given that this is literally the least a person can do, landing on the effort spectrum just below ordering Seamless and just above taking a nap, standing on the right side of the escalator should be tantamount to a participation award, presented to the well-meaning, though ultimately hopeless among us. But nobody wins this round. Better luck next time. The Award for Being "Actually From Here"
Oh, wait, this is literally the least a person can do. This hero didn’t want to spend more than $4 on a rolly and a single -- and neither did the shopkeep want to pay taxes. 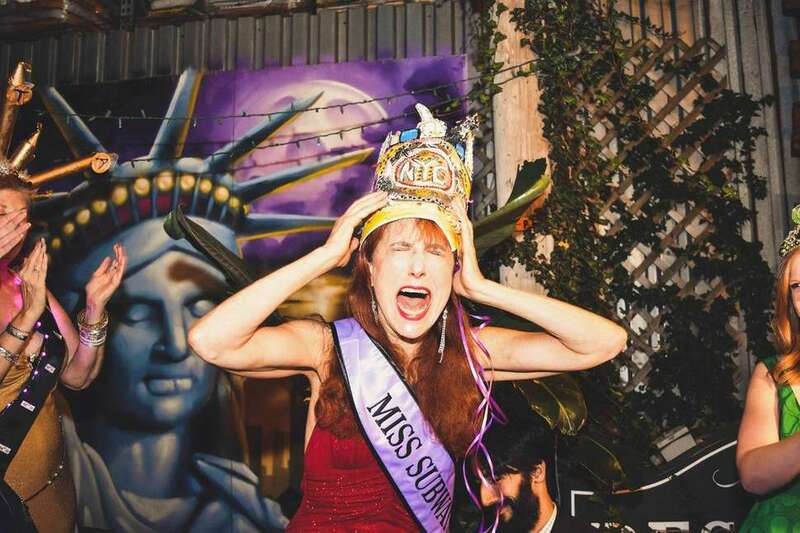 Our winner had the vision to stop by the ATM; debit cash back from the Duane Reade; or throw her card down and collect from her friends at the group dinner like all the world’s her Monopoly board. 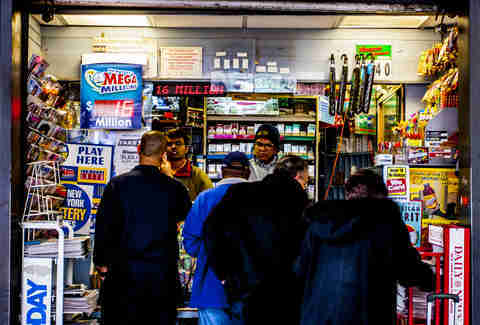 Like most NYC perks, the corner store/deli/bodega “credit,” or “tab” is typically awarded to the luckiest and the best-looking. The stars, and your symmetrical features, perfectly aligned while impatient customers grumbled as you scrounged for correct change until the clerk finally yelled at you to pay him later. You’re there twice a day, anyway. Michael Shannon just wants to brunch in peace like any New Yorker, no matter how much you loved his star turn in Groundhog Day or political views. And you respected that, keeping your head buried in Irish coffees at the other end of the bar, even though you’re pretty sure he’d think you’re a really cool person worth hanging out with if he got to know you. You were chosen. In a who’s who of would-be cartographers, that out-of-towner or embarrassed local chose you for their navigational needs. Now more than ever, when even children's light-up sneakers seem to come equipt with GPS technology, the person-to-person direction plea is an act of trust -- a call for intimacy. And, even if you had to advise them to ask someone smarter than you, you answered that call. 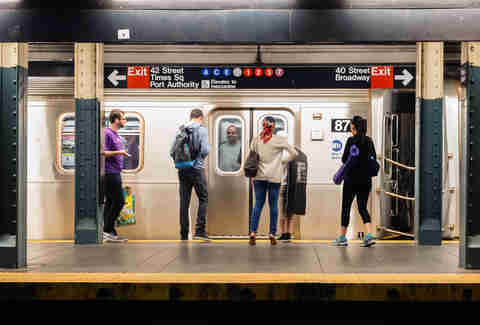 A true New York City champion, you let the passengers off the train before boarding; stood clear of the closing doors; moved all the way into the center of the car; never held the doors with your bag, shoe, or person; knew the exact amount of time or value to add to maximize your MetroCard. You offered swipes and your seat without making it a thing. And you don’t even own a backpack. You were in a position of power, but you did not wield that power against those weaker than you for personal gain. Or, you had no power, but you did not use your feelings of inferiority and invisibility to elicit fear from another person, even though it would have made you feel like you were in control for one fleeting moment.